3-Piece Pack Coffee End Table Set. Coffee Table Size, 45x27x16H. End Table Size, 24x2421H. Optional (Not Included In The Price) Sofa Table Size, 46x1627H. Easy To Assemble. Acme 7585set. 3-Piece Pack Coffee End Table Set. Coffee Table Size,48x24x17H. End Table Size, 22x20x20.25H. Optional (Not Included In The Price) Sofa Table Size, 48x16x28H. Easy To Assemble. Acme 7587set. This Glass Coffee and End Table Can be Sold separately. Coffee Table Size: 43 In. (L). x 26 In. (D). x 18 In. (H). End Table: 31-1/2 In. (L). x 26 In. (D). x 19 In. (H). Louis Phillipe Style Coffee Table With Drawers In Cherry Finish. Dimensions: 50L. X 30. X 19H.. Also Available (Not Included In The Price) End Table, Size: 28L. X 24W. X 24H.. Sofa Table, Size: 52L. X 16W. X 31-3/4H.. Easy To Assemble. This Coffee Table Set Features Smoke Glass and is available in Oak Finish. Sofa table also available but NOT included in price. Coffee Table Size: 50 x 26 x 20 In. (H). End Table Size: 24 x 24 x 26 In. (H). Sofa Table Size: 48 x 18 x 28 In. (H). 3 Pc Occasional Set. Includes Coffee Table And Two End Tables With Glass Insert. Available In Cherry And Oak Finish. Strong Construction. Easy To Assemble. *Local Delivery Or Store Pick Up Only. Click Here For Delivery Areas. 3-Pc Coffee And End Table Set In Individual Slate Desing With Metal Base. Strong Construction.Details: End Table: 24 In.(L). X 24 In.(W). X 21 In.(H). ; Coffee Table: 48 In.(L). X 24 In.(W). X 17 In.(H). Also Available (Not Included In The Price) Sofa Table: 48 In.(L). X 24 In.(W). X 26 In.(H). 3-Piece Pack Coffee End Table Set. Coffee Table Size, 46x24x16H. End Table Size, 22x22x20H. Easy To Assemble. Acme 8563. 3 Pc Occasional Set. Includes Coffee Table And Two End Tables. Strong Construction. Easy To Assemble. Details: Coffee Table: 50 In. x 26 In.End Table: 28 In. x 24 In. This 3 Pcs Set is Pack Pine Wood, Set includes Coffee Table and 2 End Tables. Coffee Table Size:46 X 22 X 16 iN. (H). End Table Size: 20 x 18 x 19 In. (H). 3 Pc Coffee/End Table Set. Includes Coffee table And Two End Tables. Available In Oak, White And Black Finish. Strong Construction. Easy To Assemble. 3-Pc Slate Design Top Coffee And End Table Set With Metal Base. Details: End TAble: 26L. X 26W. X 22-1/4H. ; Coffee Table: 48L. X 26W. X 18H.. Also Available (Not Included In The Price) Sofa Table: 53L. X 23-1/4W. X 28-1/2H.. Strong Construction. Easy To Assemble. 3-Piece Pack Coffee End Table Set. Coffee Table Size, 50x28x17H. End Table Size, 25x23x22H. Easy To Assemble. Acme 8650. Wood Coffee Table In Dark Cherry Finish. Also Available (Not Included In The Price) Matching End Table, Sofa Table And Square Cocktail Table. Strong Construction. Easy To Assemble. Details:Coffee Table: 50 In. x 30 In. x 20 In. (H)End Table: 24 In. x 24 In. x 24 In. (H)Sofa Table: 48 In. x 18 In. x 29 In. (H)Square Cocktail Table: 40 In. x 40 In. x 20 In. (H). 3 Pc Coffee/End Table Set. Includes Coffee table And Two End Tables. Available In Cherry And Oak Finish. Strong Construction. Easy To Assemble. Wood And Slate Top Coffee Table In Distressed Finish. Dimensions: 50L. X 32W. X 20H.. Also Available (Not Included In The Price) End Table, Size: 26L. X 26W. X 26H. ; And Sofa TAble, Size: 50L. X 18W. X 31H.. Easy To Assemble. 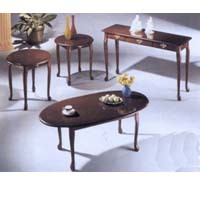 This 3 Pcs Set Includes Coffee Table and 2 End Tables. Sofa Table available but NOT included in price. Coffee Table Size: 48 x 30 x 19 In. (H). End Table Size: 24 In. (DIA). x 23 In. (H). Sofa Table Size: 48 x 18 x 28 In. (H). Pine Finish Coffee Table With Antique Grey Metal Base. Dimensions: 48L. X 34W. X 17H.. Also Available (Not Included In The Price) End Table: 28Dia., 23-1/2H. ; And Sofa Table: 50L. X 18W. X 29-3/4H.. Strong Construction. Cofee Table Size, 48x24x18H. End Table Size, 20x18x21H. Optional (Not Included In The Price) Sofa Table Size, 48x16x29H. Easy To Assemble. Acme 8835. 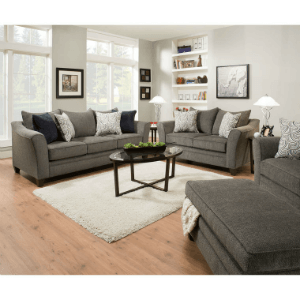 This 3 Piece Set Includes Coffee Table and 2 End Tables. Sofa Table also available and NOT included in Price. Coffee Table Size: 48 x 24 x 16 In. (H). End Table Size: 25 In. (DIA) x 21 In. (H). Sofa Table Size: 48 x 18 x 27 In. (H). 3-Piece Pack Coffee End Table Set. Coffee Table Size,48x24x16.5H. End Table Size, 22Diax19.5H. Easy To Assemble. Acme 8906. 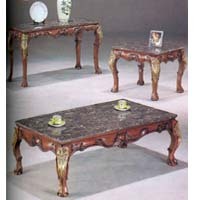 This 3 Pcs Coffee Table Set is great brings in a unique style to any home. Sofa Table available but not Included in price. Coffee Table Size: 48 x 24 x 16 In. (H). End Table: 24 x 24 x 21 In. (H). Sofa Table Size: 48 x 18 x 27 In. (H). Slate Inlayed Top Coffee Table With Storage Drawers And Tapered Legs. Size: 52In L x 32In W x 19In H. Also Available (Not Included In The Price) End Table Size: 26In L x 26In W x 26In H And Sofa Table Size: 52In L x 20In W x 32In H. Strong Construction. 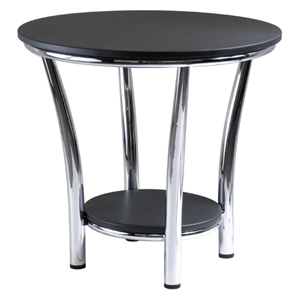 3 Pc Marble Finish Occasional Table Set With Steel Legs In Black Finish. Strong Construction. Easy To Assemble.